“It’s going to rain (in Hokkaido). Please be very careful of further landslides,” the spokesman warned. 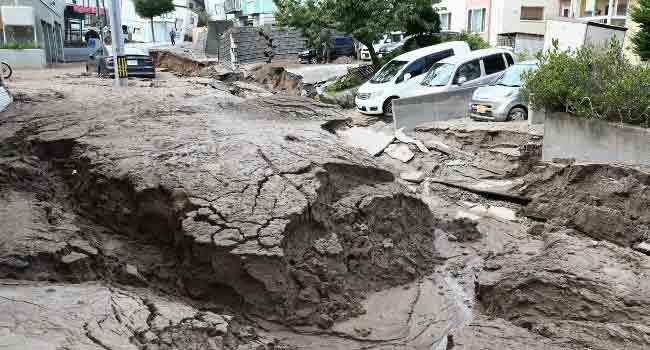 A friendly football match between Japan and Chile planned for Sapporo was cancelled, with the Japanese FA citing the quake’s severe impact on power and transport. Industry Minister Hiroshige Seko said it would take “at least a week” for power to be restored to nearly three million homes after a fire in the area’s largest thermal plant was discovered.